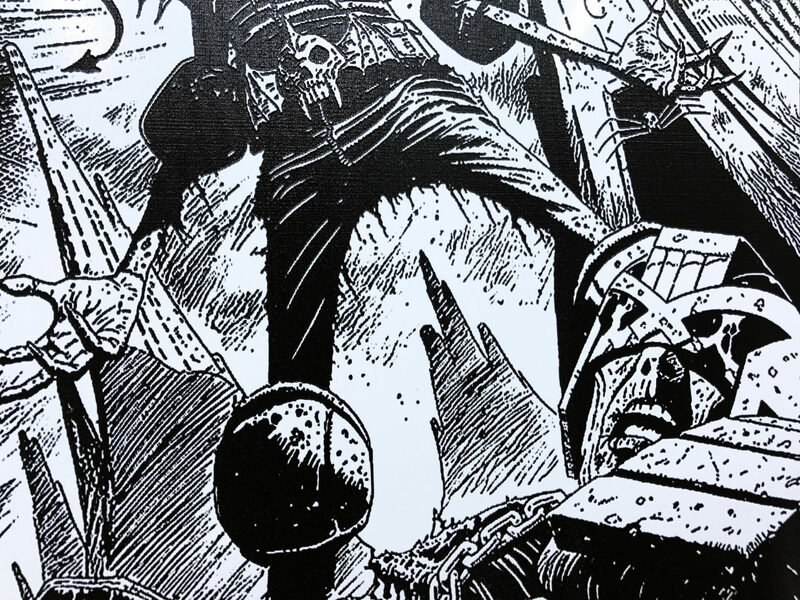 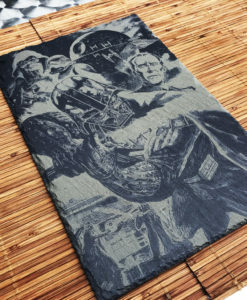 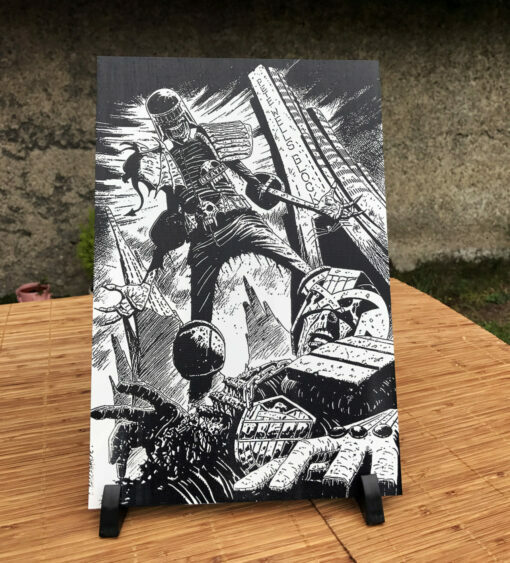 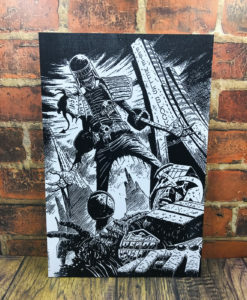 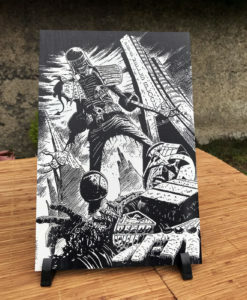 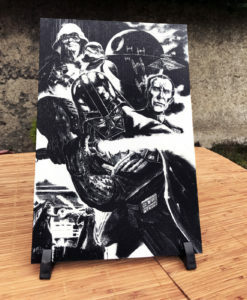 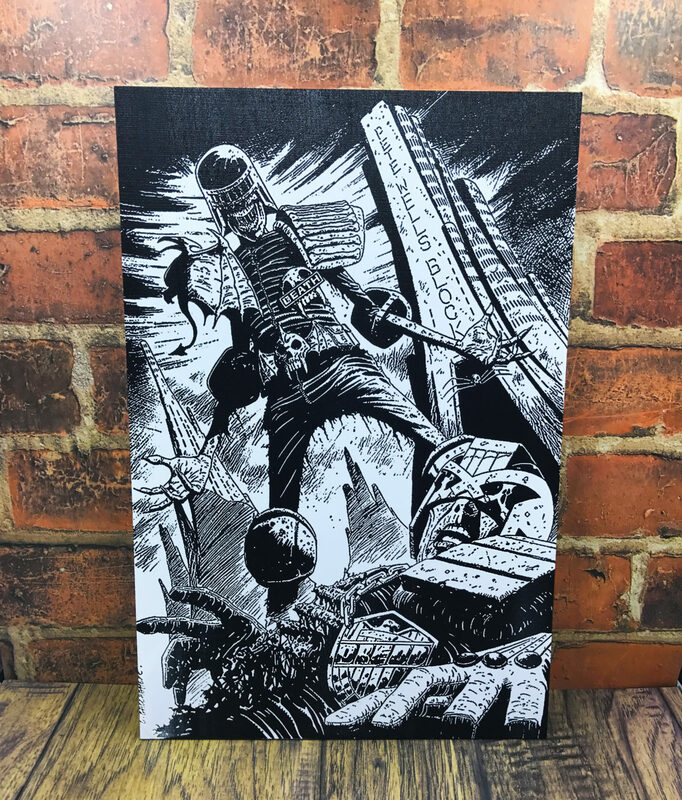 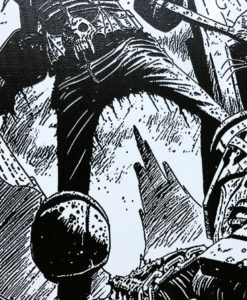 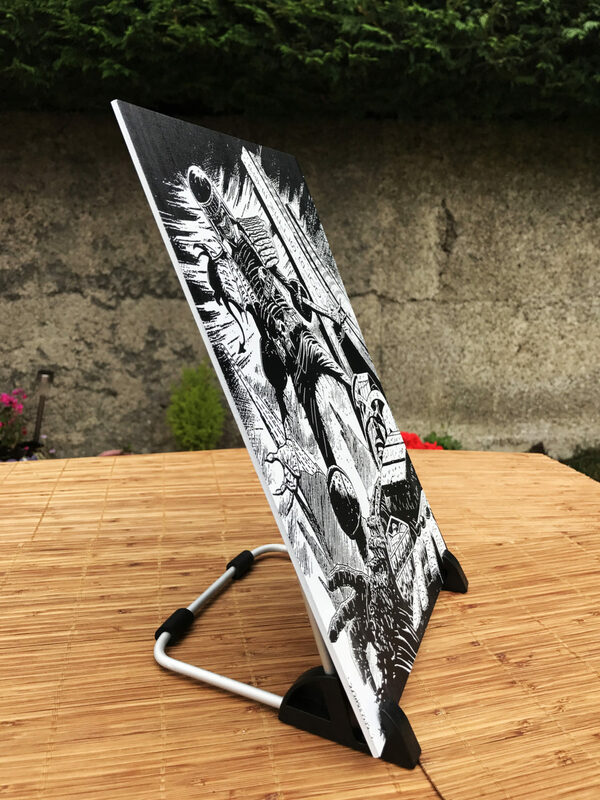 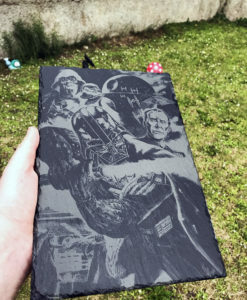 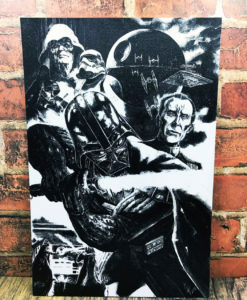 Laser engraved Judge Dredd/Judge Death graphic novel scene on a 300x200mm(12×8 inches) piece of treated acrylic. 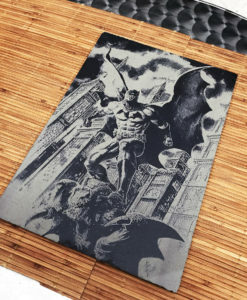 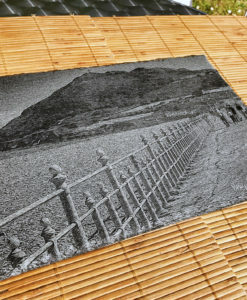 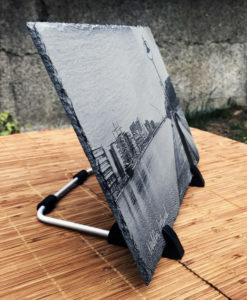 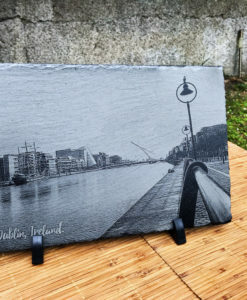 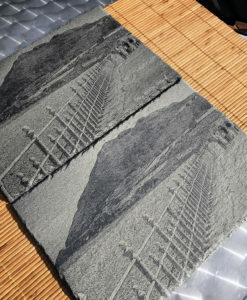 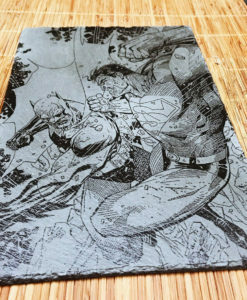 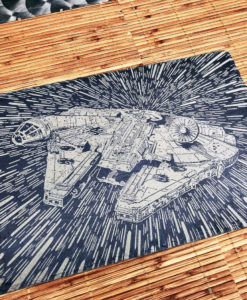 This is engraved on a specially treated 300x200mm(about 12×8 inches) solid black acrylic sheet(thickness is a little over 3mm). 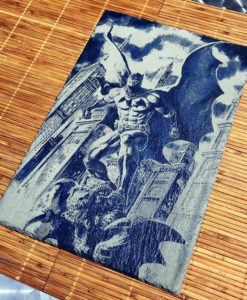 The sheet has been prepared in such a way as to give a very clean and pleasing look to this particular style on graphic. You can actually feel the grooves of the artwork with your fingers. 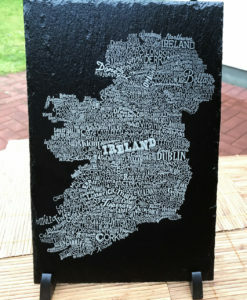 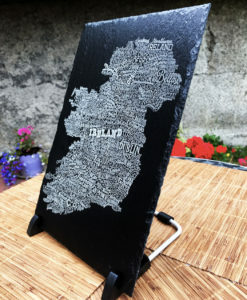 As always we offer free local collection from us here in Bray, Wicklow so you can avoid postage costs. 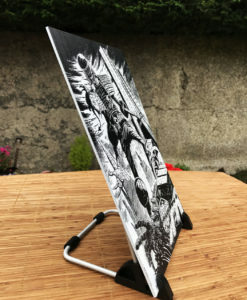 *Acrylic is also know as Plexiglas, Acrylite, Lucite, and Perspex.